Anything from fresh basil, to pesto, to gorgonzola cheese. You build your pizza from the crust up with 40+ toppings and different choices of sauce, cheese, veggies, spices, and meat. Did I mention toppings are unlimited? Each pizza is cooked in a large blazing hot oven of 900 degrees Fahrenheit, making it a truly fast paced environment. Even if you’re in a hurry you’ll have time to enjoy your freshly-made individual pizza. Gluten-Free, vegan, lactose intolerant, nut allergy? 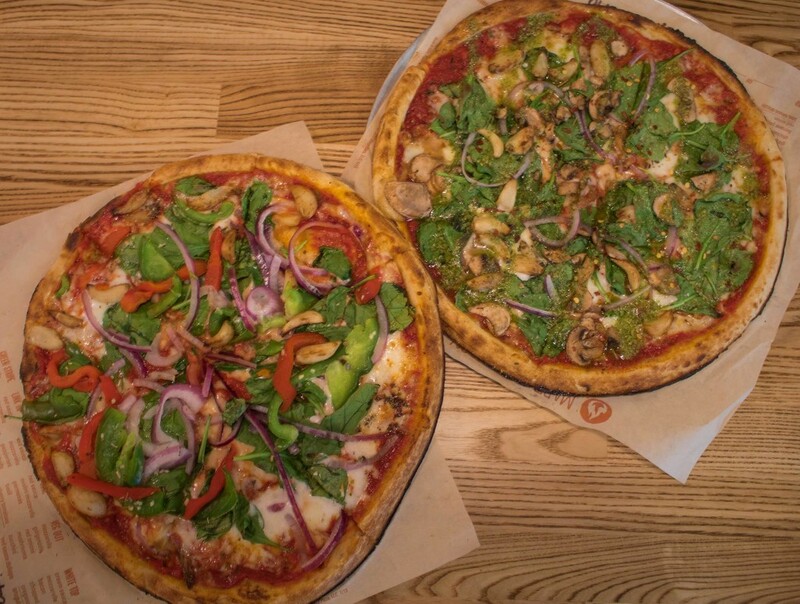 Blaze pizza has something for everyone. With options such as gluten-free crust, and dairy free Daiya cheese, you can still enjoy the wonderful taste of pizza. Blaze also offers all of the allergens listed in each of their products on their website. Who says you can’t be healthy while eating pizza? Top your pie with as many veggies as you can and skip the extra salt and pepperoni. You can find the nutrition facts based on your creations with their online nutrition calculator. As a reference, one slice of their signature Veg Out pizza is only 130 calories! 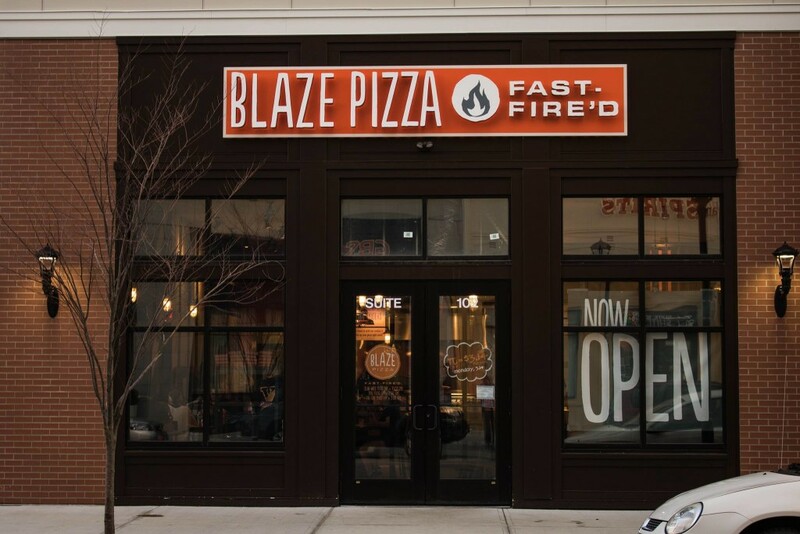 Blaze uses recycled and retainable packaging from cups, to forks to dressing containers so you can eat pizza while saving the environment. 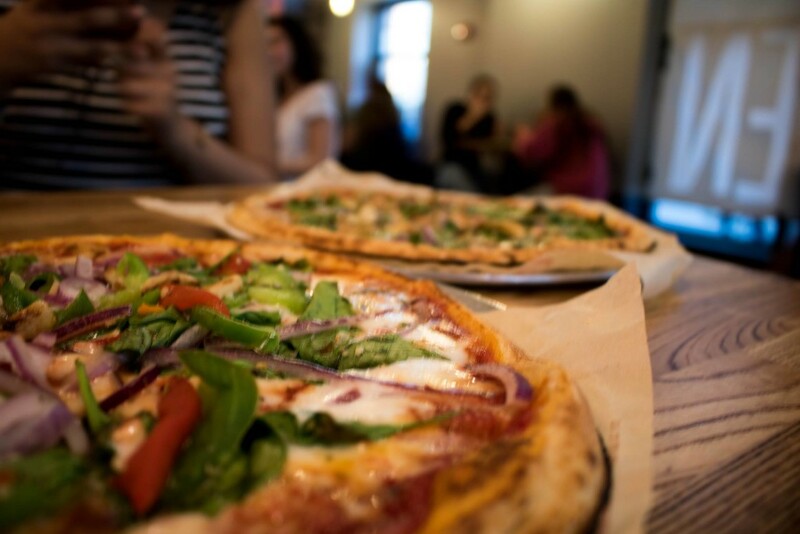 If you have an event or club that needs fundraising, Blaze Pizza will donate a percentage of every purchase made back to your organization. For more information check out their website. Build your own creations and share #HowDoYouBlaze?